If you were to scroll down my Instagram profile and feed, you would automatically catch on to the fact that I love to travel. Living at home last year and this year has been a sort of blessing-in-disguise because most of my friends are spending money on rent, Wi-Fi, and damages caused by “afters at mine” sessions gone wrong. Whereas I, on the other hand, have a bit more disposable income to spend on holidaying – yay. So, why am I such an ambassador for Berlin, Germany, as a city break destination? This post is going to tell you just why and hopefully will urge you to make this worthy investment yourself. 1. The flights are cheap. My return flight to Berlin cost me £60, (considering these were weekend flights, the price is great). I thank Sky Scanner for this quote and couldn’t recommend it more as a search engine to compare flight prices. However, right now I believe Dublin is cheaper to fly from than Belfast – so definitely check up on that as an alternative. 2. The transportation system is FLAWLESS (and affordable). 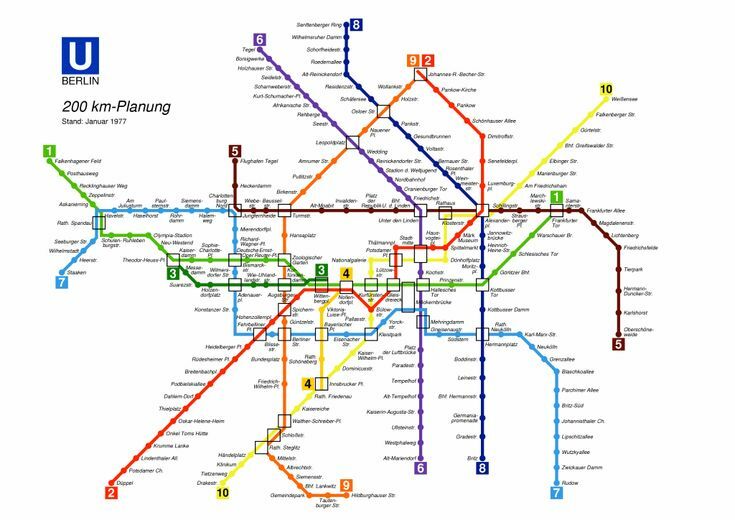 We got a 72 hour transportation pass, the “Berlin WelcomeCard”, that lets you on buses, trains and my best friend, the metro. This cost less than 30 euros and was put to use a LOT. Berlin is a massive city with 12 main districts (“Mitte” being the most central), so I would definitely recommend the WelcomeCard. I loved the metro because if you miss one, the next one is never more than 9 minutes away and they literally run 24/7. So, when my boyfriend and I came out of a nightclub (TRESOR – which I will certainly talk about later on), rather than run around in the cold at 4am, trying to get a taxi, we hopped on the “U8”, back to our hotel. Airport transportation is also included in the WelcomeCard (which is a big bonus because other cities I have recently been to, do not include airport transportation on their tourist passes. The likes of Barcelona, Budapest and Amsterdam definitely don’t). 3. There is ALWAYS something going on. We went at the start of October, so we weren’t expecting many festivities to be in action. But oh, how wrong were we. There was actually two big events going on simultaneously – the “Berlin Festival of Lights” and “Oktoberfest”. In the main square, Alexanderplatz (in Mitte), there was a massive continental Market set up for Oktoberfest. Picture Belfast Christmas markets (only bigger), now replace the beer tent with a MASSIVE beer cabin, and replace Christmas decorations with pumpkins, scarecrows and man-made waterfalls. It was just so picturesque, and you felt authentic holding a big stein in the middle of it all. 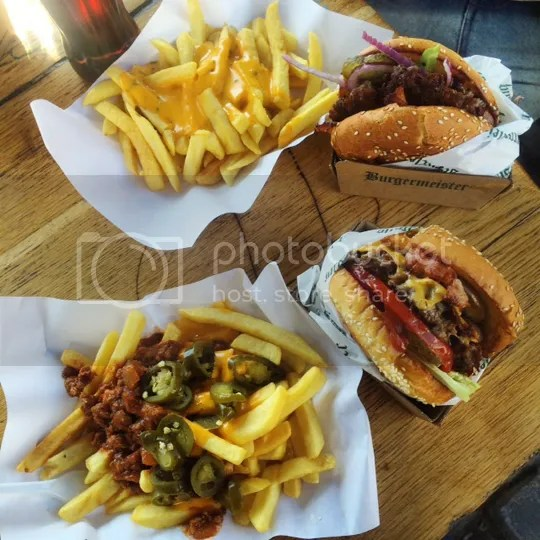 • BURGERMEISTER – this is located near the East Side Gallery. It is literally a burger hut under the railway bridge at Schlesishes Station. Not only is it a quirky location, but it was here that I consumed the best burger of my life. I definitely recommend this as the recovery you will need after an exhausting photoshoot at the Berlin Wall. • The Mall of Berlin – purely because this is the home of the BIGGEST INDOOR SLIDE IN GERMANY. We walked here from the Brandenburg Gate. And yes, we solely went to the mall just to go on this slide and I have yet to regret this move. However, I should add that the range of shops and the size of the food court was really impressive. 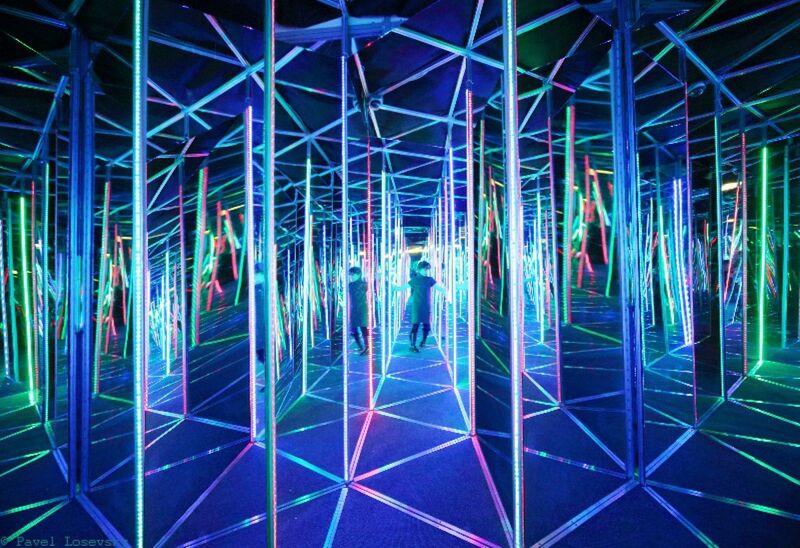 • SPIEGELLABYRINTH – this is located beside Checkpoint Charlie and as random as it sounds, it is an optical illusion mirror maze. It was genuinely hilarious, a big part of this reason is probably that we didn’t even mean to end up at it. It would also be a fun way to dry off if, like us, you got caught up in the rain with no umbrella. 5. Nightlife. 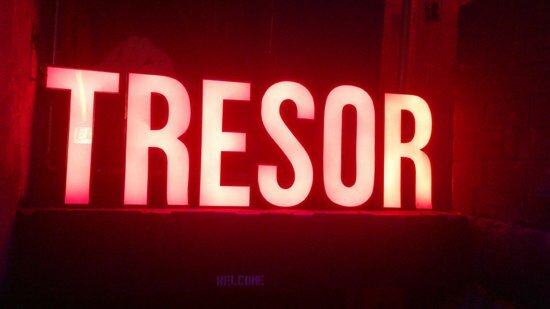 Berlin night clubs are renowned for being equally exclusive and positively disorienting. My boyfriend and I don’t tend to go clubbing when it’s just the two of us, nor would we be considered fans of “techno” music in the slightest, but since curiosity kills the cat and all that, we ended up at TRESOR – an abandoned ex-heating plant, that has been transformed into a techno club. And it was class. Expensive entry…but class. Plus actually getting into the venue set off adrenaline in itself, due to the exclusive entry regulations and intense questions they ask. 6. Kebabs. Before this holiday, the look, the smell, the IDEA of a kebab turned the life out of me. But I can safely say that I now LOVE kebabs (that one can retain in Germany – not in Belfast). Due to the high population of Turks residing, Berlin (and presumably, the rest of Germany), has mastered the art of the kebab. On the way home from TRESOR I had my first kebab and when I finished it I went and bought a second. 7. 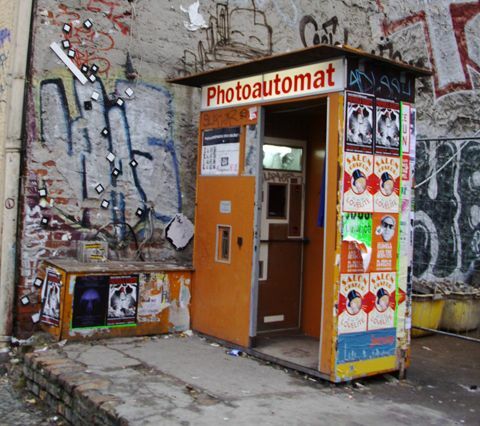 Photoautomat booths. These retro photo booths are located all around the city. “Adorable” is the best word to describe these machines and the photos they produce. On the photoautomat website there is a map pointing out where to find them. Some people choose to not look at the map, and instead go on a sort of treasure hunt for them. To give you a clue for your first one, the one that we were buzzing to stumble across was very close to Checkpoint Charlie. I could write endless reams about my love for Berlin, this in itself is yet another reason why it, as a city break destination, is definitely one of my best investments of 2017. I’ve included the link to Sky Scanner below, so you can price run your new or intensified temptation to book this as your next city break, and you can thank me later.